James J. Foster & Associates, Ltd is a private corporation that provides counseling and related services to people of the greater Manchester, NH and surrounding areas. 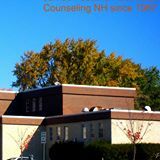 It was incorporated in 1987 after it was in business for about five years as a counseling service. We help people to accept themselves, accept others and grow toward their potential through, private,confidential and caring Psychotherapy. James J. Foster & Associates, Ltd is a privately held general corporation which is owned and operated by James and Nancy Foster. Its registered purpose is to provide Psychotherapy and related services to people in the greater Manchester, NH area. North on 93 to 293(Everett Turnpike). Take exit 6. Cross the Amoskeag Bridge. Continue straight at lights past Elm St. Take a right onto Chestnut St. Drive South 3/4 mile looking for 540 Chestnut St. on the right hand side. James Foster & Associates, Ltd. is in a brick building on the corner of Chestnut and Orange streets. Come South on 93 to 293 South(Everett Turnpike). Take exit 6. Stay to the right. Cross the Amoskeag Bridge. Continue straight at lights past Elm St. Take a right onto Chestnut St. Drive South 3/4 mile looking for 540 Chestnut St. on the right hand side. James Foster & Associates, Ltd. is in a brick building on the corner of Chestnut and Orange streets.